Andrew MacKenzie takes a famously no nonsense approach to cooking, known for dishes which maximise the best of local Sussex produce such as seafood and game. Given his own restaurant's proximity to the sea it is unsurprising that seafood recipes are among the highlight of this collection. 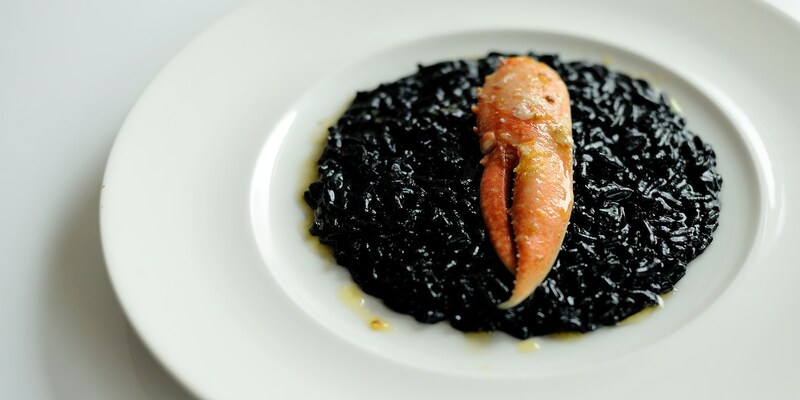 His Scallops with seaweed and miso kombu broth recipe is easily prepared and packed with appropriately oceanic flavours, or try his Squid ink risotto recipe for a striking main dish. Desserts, too, are glorious - Raspberry crème brûlée will convert even the staunchest pudding purists, while his Mirabelle soufflé recipe makes the most of a slightly less common species of plum.